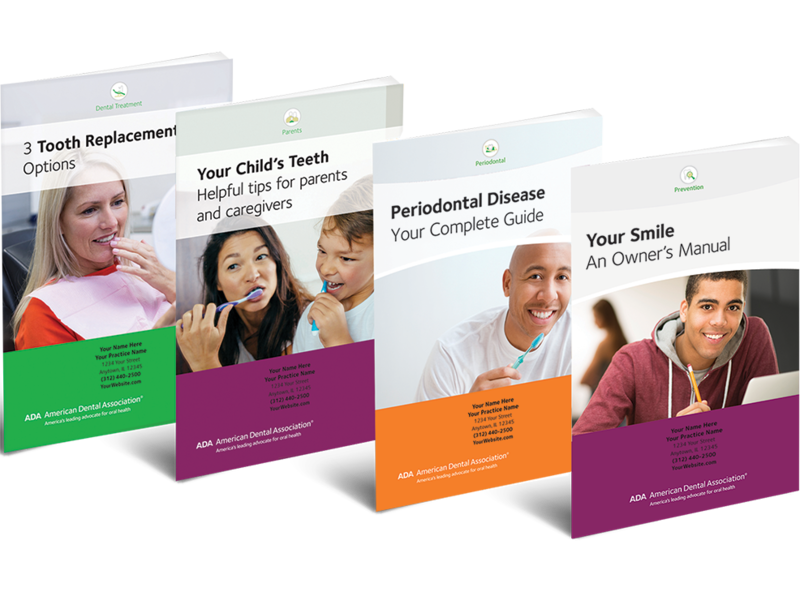 These comprehensive booklets ensure you are prepared to help answer the more inquisitive patients’ questions. Save $20 over purchasing these topics separately. W293 Three Tooth Replacement Options can help reduce anxiety for the patient who has to replace a permanent tooth for the first time. W177 Your Child’s Teeth is ideal to send home with first-time parents or guardians. W302 Your Smile: An Owner’s Manual can help teens learn about their changing oral health needs. W120 Periodontal Disease: Your Complete Guide walks patients through the overall impact gum disease can have and how they can prevent it.